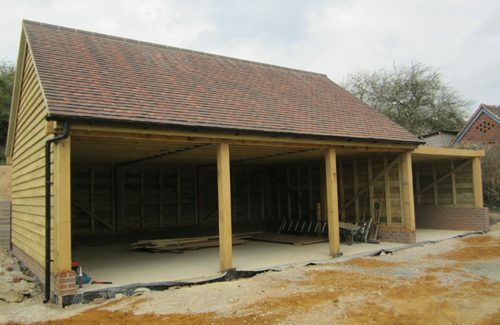 These are the buildings we love to build. 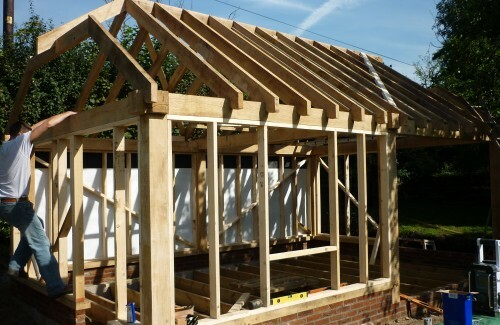 A lot of the work is done by hand, just as it has been done for hundreds of years, and after all the joints have been measured, cut and prepared, there is nothing better than when it all squeezes together to form a perfectly solid building. 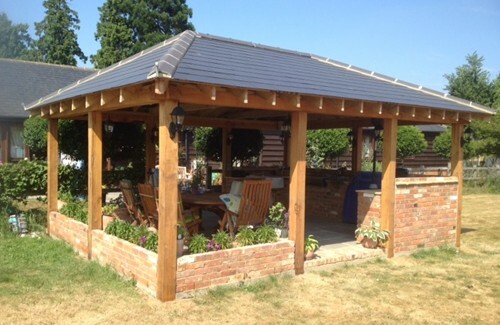 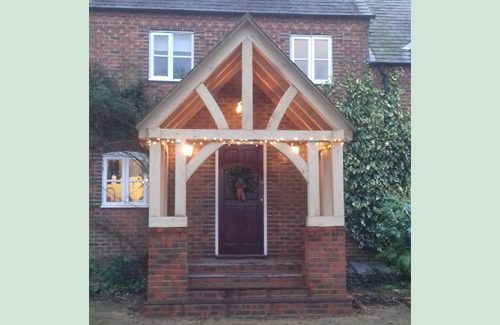 Traditional in style and traditional in materials, Oak Framed buildings look fantastic in any garden, large or small. 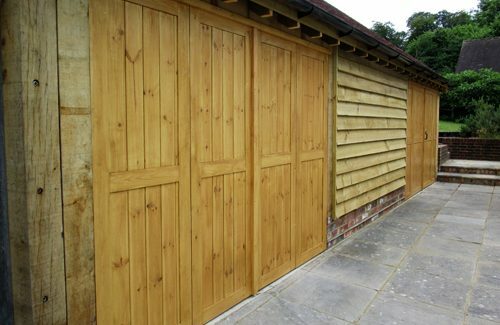 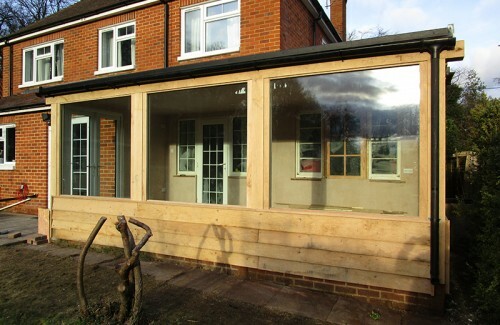 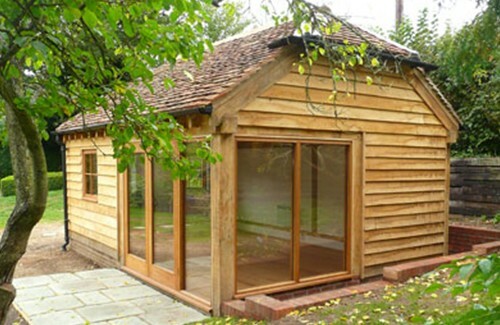 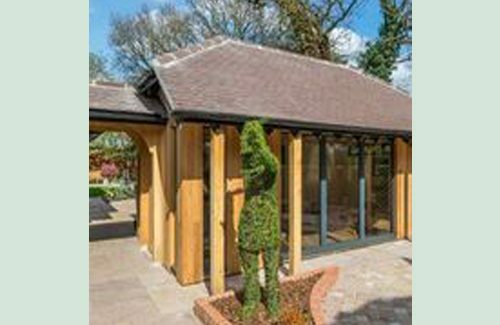 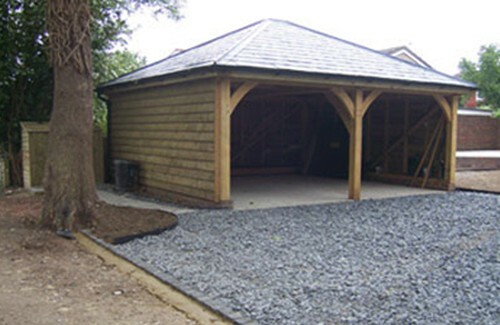 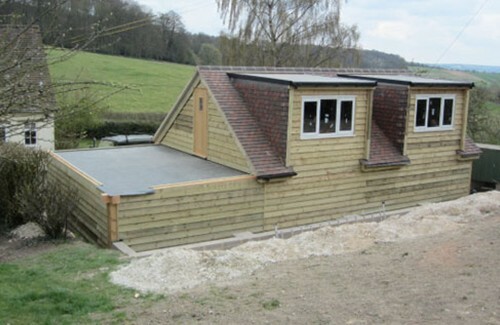 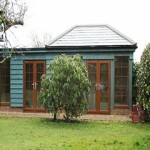 Garages, sheds or more opulent Garden Rooms and Studios never look better than when made of Oak. 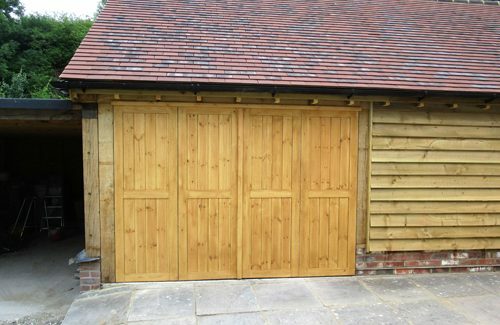 Their timeless rustic appearance looks fantastic in countless settings. 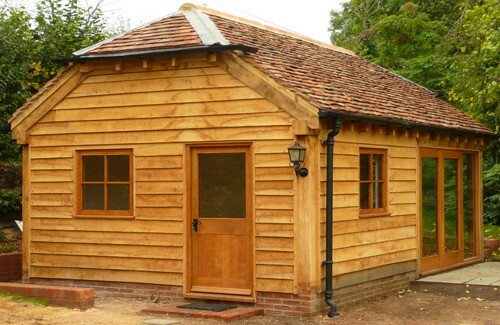 With its hard wood and durable characteristics, Oak has been used for centuries to build long lasting timber framed buildings which are virtually maintenance free. 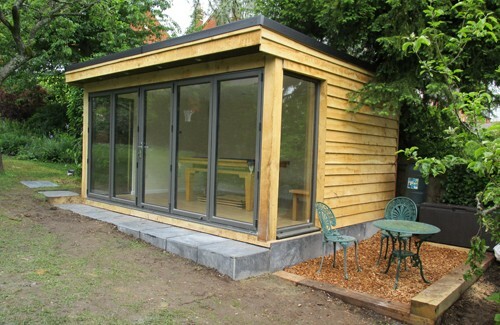 The building shown right is a pitched roof Garden Studio designed to our client's requirements. 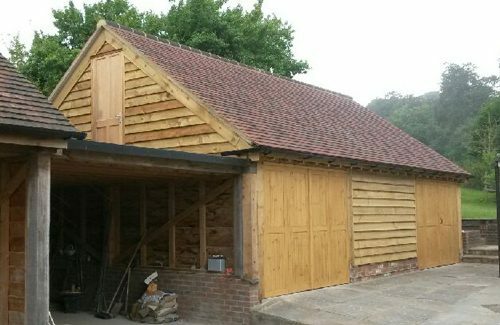 The roof is tiled with reclaimed clay tiles, and the windows and doors are Oak to match the listed house it accompanies. 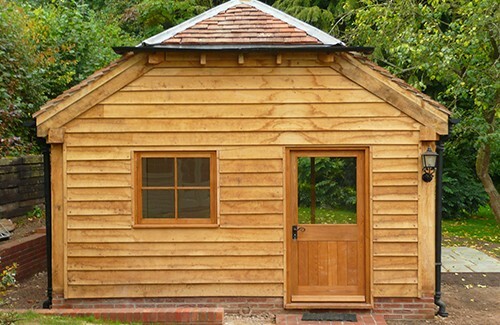 With it's wonderfully durable qualities, we use Oak in some of our more contemporary buildings as well. 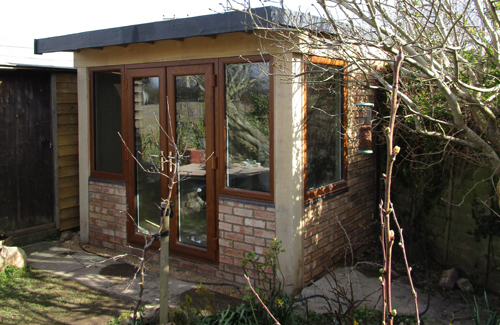 Built around soft wood frames and with 'flat' roofs they are less costly than the more traditional styles, but still retain the quality of Oak. 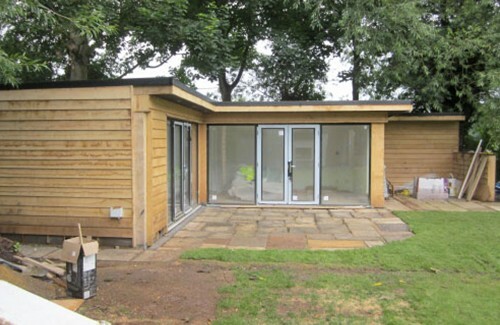 The building shown right was designed to meet Permitted Development criteria, so not requiring planning permission. 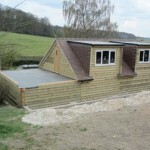 Building Regulations were required because it had a floor area which was over 30msq. 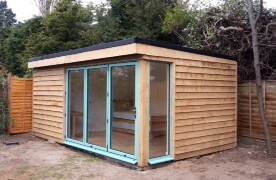 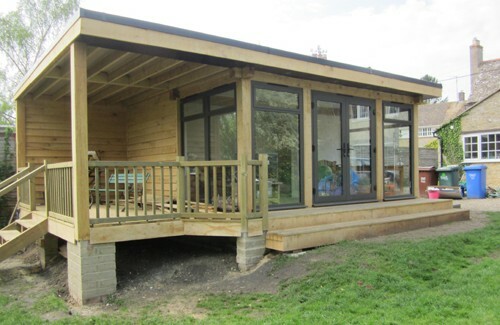 All external cladding is Oak, and the windows and doors are black Powder Coated Aluminium. 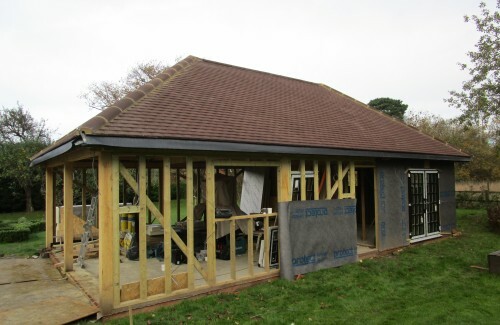 The flat roofed extension has been finished, with the EPDM rubber roofing system in place. 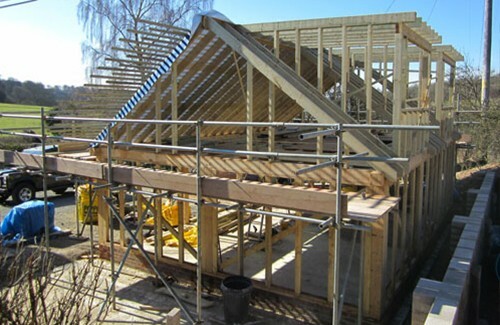 The dormers are complete, making the internal loft space so much more spacious. 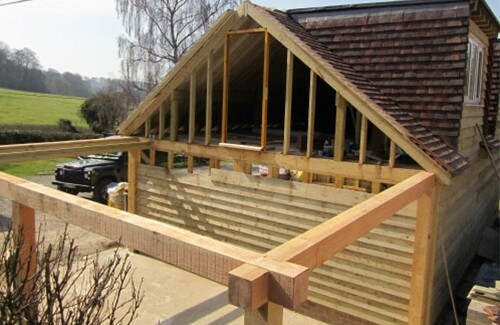 All we need to make is a set of steps onto the roof for access to the door, and a good tidy up at the front before we level the drive and cover it with a new layer of gravel. 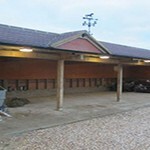 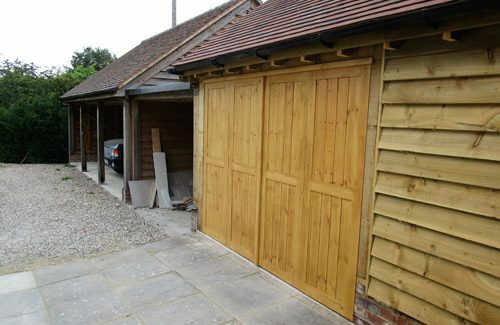 Four bay garage or stables? 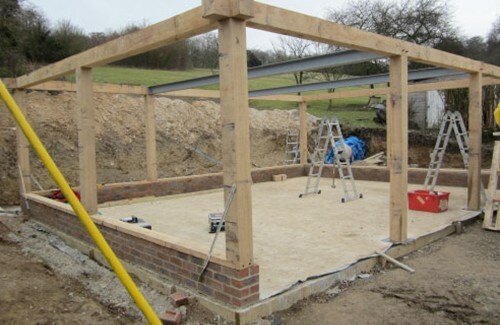 The first photo shows the building up and ready for the internal partitions to be installed. 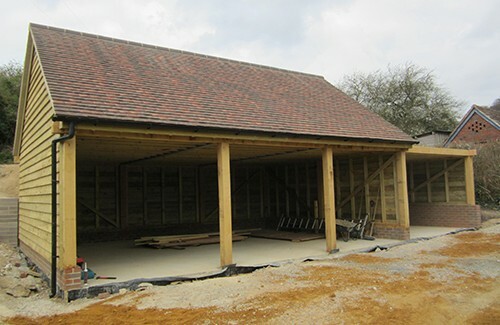 The second shows them fitted and ready for the arrival of the horses.